Over the last week, Bitcoin has surged up by $1,070 to $5,240 per Bitcoin, equivalent to an astonishing 25.7% week-over-week growth! We have successfully projected that growth in our last week’s technical analysis and hope you’ve made a profit from that market move! As you can see from the chart above, the market has grown up by 25.7% w/w and our analysis has proved to be correct. The reason is that we apply an integrated approach to market analysis, which combines an advanced technical analysis with an insightful fundamental research to provide a more precise, richer context for our trade ideas! Keep reading Monfex’s trade ideas and analytics, and you will raise your chances of becoming a profitable trader over the long-term! If you are not yet a trader - open an account at Monfex today, and start trading to profit from current ideas and many more trade opportunities to come! On a daily timeframe for BTC/USD, technical analysis tools generate an upward trend signal. Trend indicators, in particular, the quick and slow moving averages, confirm an upward trend signal. Chart patterns, including the trendlines and the trend channels, show that the trend is upward and is accelerating. The overall market sentiment for Bitcoin is positive. 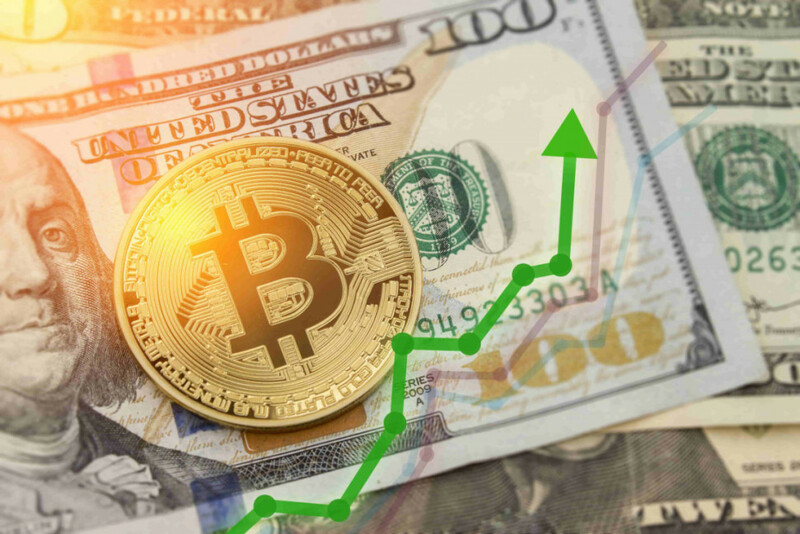 In particular, the market volatility is stable and increasing, the trend in Bitcoin Network’s fundamental characteristics is positive, and the overall impact of lates crypto news and developments in the broad blockchain industry is also positive. We begin our analysis by analyzing the trend because the concept of trend is perhaps the most important aspect of technical analysis. To identify the trend direction, we apply to the D1 chart a 30-day exponential moving average. At the time of this analysis, the EMA(30) is growing (is upward sloping). This means that the medium-term trend is upwards and the traders should consider taking long positions in BTC/USD over this week. A quicker moving average, such as the EMA(7), is growing as well and the difference between the two moving averages - the EMA(30) and EMA(7) - is expanding (MACD indicator is increasing). This implies that the upward trend is accelerating. Overall, the trend analysis indicates that now is excellent timing to enter long in BTC/USD. Based on the price chart analysis, BTC/USD is currently in an uptrend. We define an uptrend as a price making higher highs and higher lows on a daily timeframe, which is considered to be meaningful for trend identification. As can be seen from the chart below, there is an uptrend line connecting the lows of the price chart, which indicates that the trend direction is upwards. More precisely, there is an ascending trend channel, which is a dominant pattern in terms of its forecasting ability. We believe this channel approximates the current trend reasonably well. We think that over the medium-term the price will be increasing within the bounds of this channel. The upper trendline of this channel indicates that the take-profit target should be set at $6,000. As far as the stop-loss is concerted, we recommend placing SL order at $4,800. Charts provide information about past price behavior and serve as a basis for inferences about likely future price behavior. Based on the recent price behavior we project the future trend to be upwards. At the same time, we recognize that the trend direction can change at any time. Therefore, we encourage traders to remain vigilant concerning trend monitoring and always use stop-loss orders for risk-management purposes. Oscillators are essential because they allow identifying the correct timing of market entry and exit points. In the next paragraph, we discuss the current technical position of the Stochastic oscillator (5,3,3). The Stoch(5,3,3), plotted on a daily timeframe, has achieved an overbought range and the Main line has crossed the Signal line downwards. This technically means that the short-term correction downwards is possible. Nonetheless, given the high strength of the current upward trend, we do not believe the correction is probable. The total USD value of trading volume on major bitcoin exchanges has surged more than three times w/w together with the 25% price increase during the past week. We, as technicians, consider volume information to be essential and the fact that an increase in volume confirms the price trend is a positive signal for Bitcoin.